Living a modern life style and running along with time there are two valuable things that we have lost one peace of mind and the other happiness. To get back to the normal state and pace and to strike a balance in our life we need meditation. Since ages people in various parts of the world have been practicing meditation to lead a peaceful and smooth life. Scientists have undertaken research activities to know the benefits of meditation and they have come up with very positive and useful benefits, which are proven as per science. Let us throw some light on those benefits. 1) Those people who mediate are happier and have positive attitude towards life. 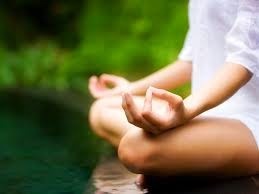 2) Practicing meditation decreases anxiety, stress and depression. 3) People who meditate have more self control, as it leads to self introspection and helps one to regulate one’s emotions. 4) People who mediate will have good relations both within the family and socially. Because they find a common connective factor with others and naturally sense of compassion grows in them. 5) People who meditate have better body immune system and experience and decrease in physical pain. 6) Those people who meditate are more attentive and there has been change in their brain functioning for the better. 7) Those who meditate can focus better and their ability in multitasking also increases. 8) People who meditate have been found to have good memory and are more creative. 9) Those people who meditate are wiser. 10) Those people who meditate are more realistic in their approach to life and exercise great degree of control over their life. What more reasons do you need to start meditating? Go ahead meditate and change the image of your life.